Montblanc is one of the worldâ€™s most renowned luxury brands. This hundred-year-old brand has built its reputation as a symbol of tradition, status and of exclusivity. Montblanc fragrances are no exception, each fragrance is created with the same core values of elegance, precision, and detail. 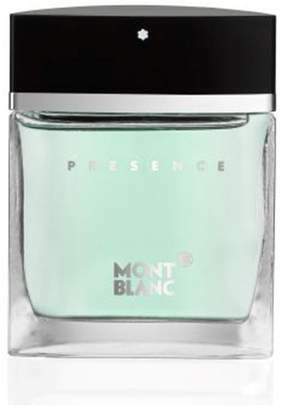 Presence for men is a Luxurious and Sophisticated Spicy Oriental fragrance with key notes of Bergamot, Heliotrope, and Sandalwood. For reasons of hygiene this product cannot be returned if unwrapped, unsealed or used, unless faulty.